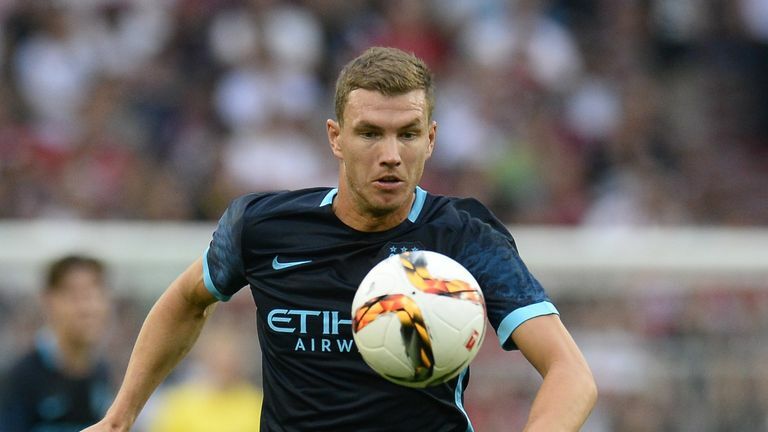 Roma striker Edin Dzeko is open to returning to the Premier League before his career is out but has questioned whether it might be too late. The ex-Manchester City star was on the verge of joining Chelsea in a double-deal with Emerson Palmieri in January but the deal collapsed late on and the Blues signed Olivier Giroud instead. The 32-year-old scored 72 goals in 189 appearances across five seasons with City, winning two Premier League titles between 2011 and 2015. Dzeko has scored 78 goals in all competitions since joining Roma and he remains "happy" as first-choice up-front, scoring twice in seven starts in Serie A so far this season. "Regarding the Premier League, maybe it's too late," he told Sky Sports News. "You never know. "I had four-and-a-half great years there, and had fun every minute of every game. I love the Premier League and England, so we'll see. At the moment I'm happy in Rome." Dzeko is part of the Bosnia-Herzegovina side that will play Northern Ireland in the UEFA Nations League on Monday and he is expecting to make it maximum points from their two clashes in Group 3. "I definitely expect a tough game like it was in Ireland. But I expect us to play a little better and get the same result. "Ireland played very good in the first game and we were a little bit lucky to win. Hopefully we can play better in front of our own fans this time and get the win.